Despite its on the ground ubiquity, sexual violence against “the other men” remains largely exempt from official and scholarly canons of nationalism, gender and conflict. Inscribed by variously intersecting patriarchal imaginations of nationhood and heteronormative conceptions of political violence in much feminist scholarship, this exemption characterizes also the state of the art of gender scholarship on violent topographies of the Turkish nation-state making process. This talk traces a sexual genealogy for the contestations of modern nation-state sovereignty and identity in the eastern frontiers of Late Ottoman and Republican Turkey by focusing on politics of male circumcision -traditionally, a religious and gender-initiatory rite. 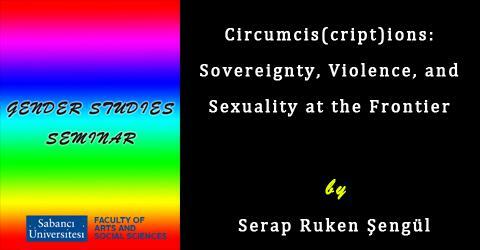 I first explore how male circumcision has been dramatically resemanticized since the late-19th century nationalization processes as an antagonizing mark of Turkish national belonging and manhood, and systematically manipulated for the physical destruction or symbolic castration of non-Turkish dissident male bodies across the salient domains of Armenian and Kurdish conflicts. Then, I explore responses to this ongoing historical experience across affiliative discourses of nationalism, gender and political conflict. This integrated genealogical and discourse analysis contributes to analytical efforts at queerying identity, sexuality and violence beyond the heteronormative matrix, both in its immediate historical-ethnographic context and beyond it.